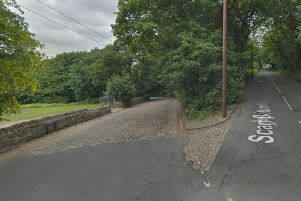 A man was kicked and punched in a gang attack in Halifax. Police have issued a witness appeal following the assault which took place near a taxi rank on Crown Street between 2.20am and 2.30am on Saturday, March 21. A group of men surrounded the 26-year-old victim before one or more of the group punched and kicked him. The victim was left with facial injuries. All the suspects are all described as white males. One is described as being in his late teens to early 20s, of slim build, with very short dark hair and a narrow face. He was wearing a grey top with black horizontal stripes and jeans. The second is described as short and chubby and the third is described as being of stocky build and wearing a red t-shirt. PC Sarah Brown, of Calderdale Safer Neighbourhoods Investigation Team, said: “This assault happened near a taxi rank in a busy area of Halifax town centre. Anyone with information is asked to call Calderdale Safer Neighbourhoods Investigation Team on 101 or Crimestoppers, in confidence, on 0800 555111.